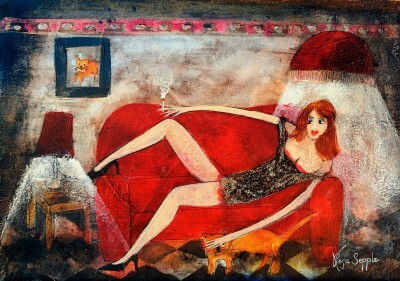 Right now we are waiting for new Rosa SEPPLE Art to arrive at the gallery. 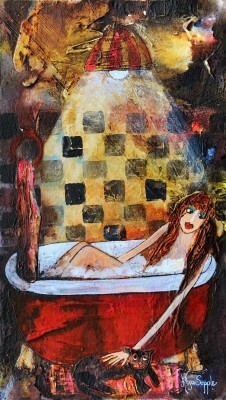 In the meantime, here is a selection of the artist's archived art work which has featured at Red Rag Art Gallery. 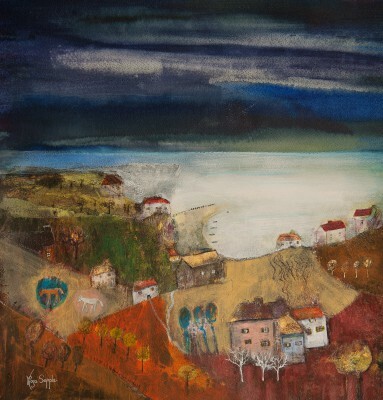 If you wish to register to receive updates and alerts when new art work from Rosa SEPPLE arrives select this link. 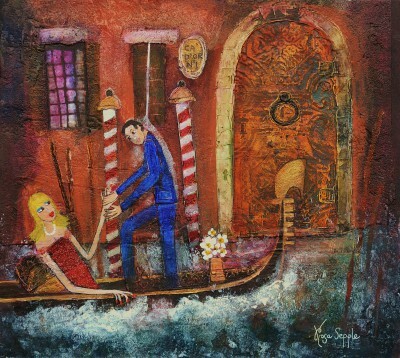 Rosa Sepple paintings succeed in bringing joy to the viewer in a unique way, depicting the moods and pleasures of a fantastical, somewhat dreamlike world that is magical, whimsical and heart warming. 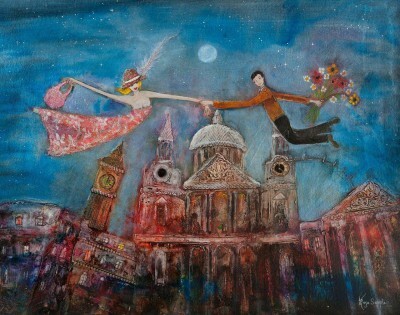 People float and fly, tease, party, dance and flirt, buildings lean and topple, flowers sparkle and animals smile. 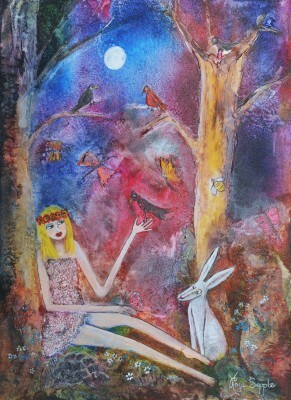 Despite Rosa's success she is very focussed on experimenting, pushing the boundaries of her work. Elected a member of the Royal Institute of Painters in Watercolours (RI) in 2004 and Vice President in 2016. 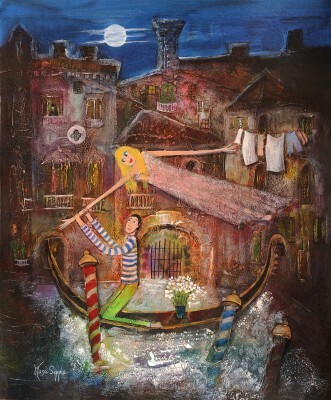 Rosa has private collectors worldwide, has exhibited in most of the major art exhibitions, Including the Royal Academy in London, The Ruth Borchard Exhibiton and The Sunday Times Watercolour Exhibiton.. 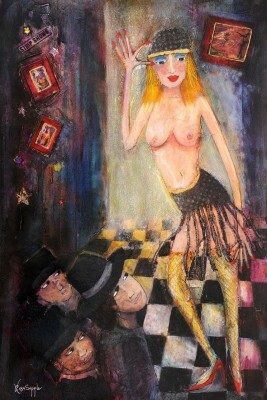 The artist also has several solo shows in fine art galleries throughout the U.K during the year. 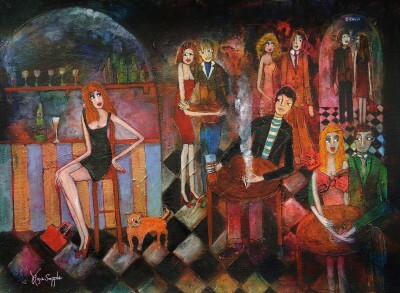 Recent awards include, The Herring Award for best figurative. The Elizabeth Scott-Moore Award. The Debra Manifold Award. The Freshfields Bruckhaus Deringer Award. The Andrew Hillier Award for creativity and two Daler-Rowney Awards. 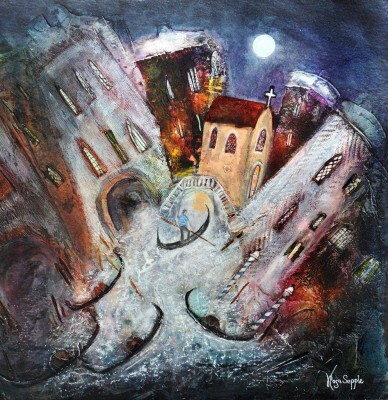 In addition to Red Rag British Art Gallery Rosa Sepple art work has been exhibited at other leading British Art Galleries. 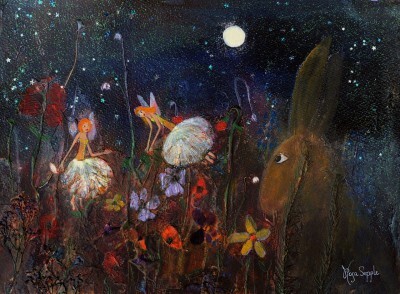 Each painting at Red Rag is sourced from the Rosa Sepple artist studio and like all Red Rag British art and Contemporary art it can be shipped worldwide.